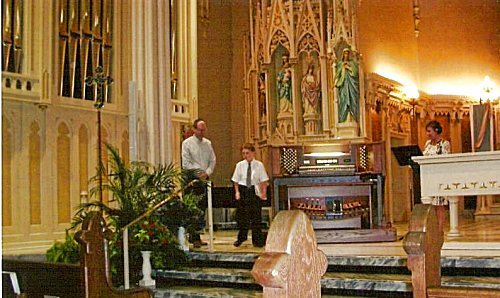 at the new A. E. Schlueter pipe organ at St. Mary Church. Click here to see the Minutes from the May 7 Chapter Business Meeting. 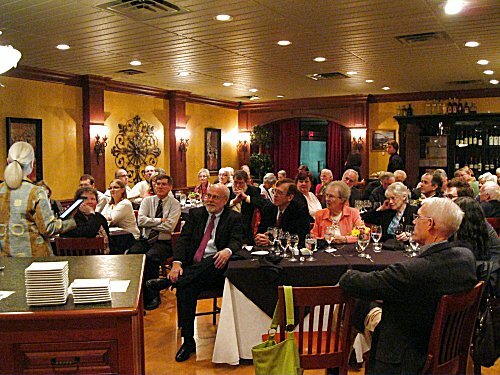 Our chapter was privileged to honor Dr. Douglas Reed and his distinguished university teaching career with a recital at First Presbyterian Church on a Sunday afternoon in April, followed by an elegant dinner at Just Rennie's in downtown Evansville. Performing were former students Douglas O’Neill, Kirk Rich and Michael Salazar, and current student Rachel Bennett. Members of Doug’s family, students, teachers, colleagues and friends from around the country attended. Thanks to Robert Nicholls, with help from Carolyn Howard, Helen Skuggedal Reed, and the staff at First Presbyterian, for making this event possible. During our installation of officers on May 7, the Rev. Dr. Tammy Gieselman challenged us all to be open to the spirit of music touching us and others in unexpected ways, whether through a talented street musician playing in a busy public space, in an unusual combination of instruments in a chapel service, or in our daily tasks of playing, planning and teaching. We are fortunate to have Tammy, Chaplain at the University of Evansville and an appreciator of organ music, as a member of our chapter. 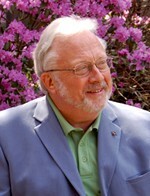 In connection with the events honoring Douglas Reed (above), the Evansville Chapter voted at its chapter meeting in May to commission a major musical composition by William Bolcom. Bolcom, a National Medal of Arts, Pulitzer Prize, and Grammy Award-winner is an American composer of chamber, operatic, vocal, choral, cabaret, ragtime, and symphonic music. Many organists are most familiar with his set of Gospel Preludes for solo organ, based on familiar hymn tunes. The proposed commissioned piece is to be for organ and brass ensemble, and is to be premiered in Evansville by the Canadian Brass and Douglas Reed. This is a long-term project with the projected premier at least a couple of years from now. Robert Nicholls has agreed to coordinate the arrangements and fundraising for this project, and to involve as many people and organizations as possible in making this a major artistic and educational experience for our community and beyond. You can go to williambolcom.com for more about William Bolcom. Sunday, September 23, 2012 at 4pm: Guest organ recital by internationally acclaimed organist David Briggs at First Presbyterian Church in Evansville. Friday, October 19, 2012 at 7:30pm: Silent Film (Phantom of the Opera) with improvised organ accompaniment by Robert Nicholls at First Presbyterian Church in Evansville. Thank you to our 2012 Nominating Committee, Kristin Jones and Helen Reed. A big thank you for years of faithful service on the Executive Committee goes to out-going officers: Robert Nicholls (Dean), Dean Parker (Secretary), Kevin Ellerbusch (Treasurer) and Kristin Jones (At-large). We are confident that they will continue to share their considerable talents and experience with our guild as we move forward together. Remember that it is not too late to sign up for the National AGO Convention to be held in Nashville this summer. Several of our chapter members are planning to attend. Single day registrations are available. Renewals for the 2012-2013 season have begun. A form to print out and mail in with your check can be found here. Mailing your form and check now will save our chapter the cost and work of mailing out forms to you. If you have questions about membership, please contact our membership coordinator, Barbara, at alcbjw@insightbb.com . At our May chapter meeting we approved new Operating Procedures for our chapter. You may view them here. They will be sent to regional and national offices for final adjustments, if needed, to ensure they are in agreement with national bylaws.